No artwork, Broken Wax promo CD only. Cat # BRKCD008A. 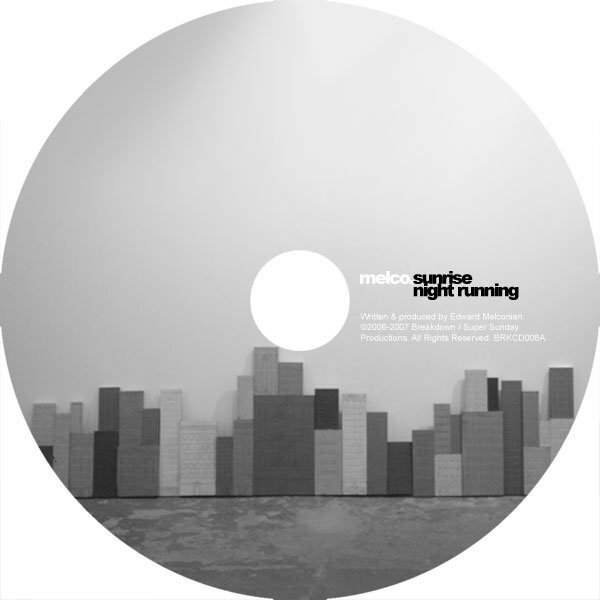 Includes unlimited streaming of Sunrise / Night Running (Mini-LP Sampler) via the free Bandcamp app, plus high-quality download in MP3, FLAC and more. PREVIEW SAMPLER ONLY. Cat # BRKD008A, CD BRKCD008A. 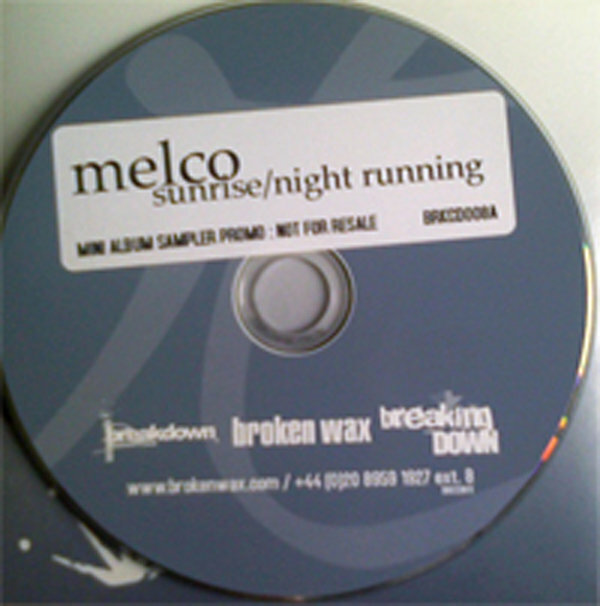 Two tracks taken from the still-unreleased Melco album "Understanding" from 2007. Written and produced by E. Melconian.